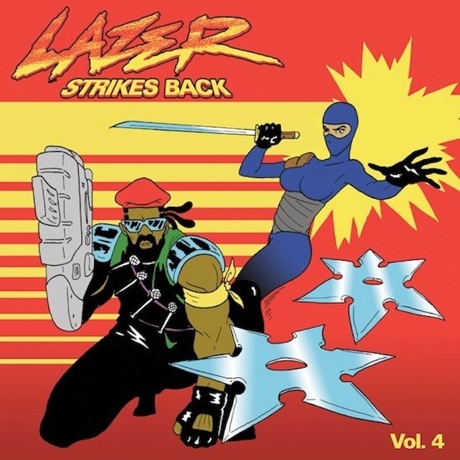 Major Lazer only launched their Lazer Strikes Back EP series a month and a half ago, but they have already given us several volumes of rarities and remixes. Now, the Diplo-led dancehall act have dropped Lazer Strikes Back Vol. 4. This free digital EP features five tracks, most of which are remixes. This includes a version of Snoop Lion's "No Guns Allowed" and a remix of No Doubt's "Push & Shove." See the tracklist below. Lazer Strikes Back Vol. 4 is available to stream at the bottom of this page and can be downloaded here. This is slated to be the final EP before the long-delayed Free the Universe LP arrives on April 15 through Secretly Canadian/Mad Decent/Downtown Records. This is assuming, of course, that the album doesn't get postponed again.